Over the past few years, Fannie Mae, Freddie Mac, FHA, VA, USDA and even the SBA have made changes to their disaster relief programs and guidelines. There are numerous avenues a borrower has to pursue in the wake of disaster that are impacted by investor requirements. At a minimum this involves insurance claims, collateral repairs, and loss replacement, in addition to coordinating with local and federal relief programs. As homeowners move through these processes, many will be able to continue to make timely mortgage payments. However, with cash out of pocket expenses increasing and the possibility of missing work or even loss of employment, a growing pool of borrowers will need access to relief modification programs as they face default. With an absence of warning and intense sense of urgency at the onset of a natural disaster, servicers can be caught off guard and may be in varying stages of implementation for new programs and changing requirements. Frequently the phones start ringing before the servicer is entirely prepared. Becoming swept up in simply trying to handle increased call volume, it is not uncommon for servicing staff to revert to using spreadsheets to manually log and track incoming disaster related calls and complete other relief program activities. Bridging gaps in system functionality, product training and resource availability often forces servicers to resort to manual workarounds, creating one-off solutions to complete pieces of the overall process. Regretfully, even one manual workaround creates excessive risk and can cause the organization to incur unnecessary fines, examination infractions, or enforcement action. Disaster relief programs impact numerous processes and departments within a servicing center. Ensuring that each area understands their role and works collaboratively to address disaster related activities can be fairly complex. Making certain departments are relief ready and processes are fluid can be daunting at even a basic procedural level. Each area has contingencies on other departments and systems to effectively complete corresponding processes. If departmental communication and engagement is impaired or siloed, then the customer experience will be far from seamless, resulting in fragmented processes. Treating disaster relief as a one-off process that is not integrated across the organization jeopardizes the success of each respective servicing department, creating layered risk and adding excessive business cost. Loan servicing systems and solutions have not evolved as quickly as systems used for mortgage origination purposes. Reliance on outdated systems is commonplace and frequently solutions designed to innovate specific areas of servicing are not capable of integrating with antiquated systems. In order to support disaster relief servicing requirements that continue to evolve, or simply address less prevalent investor relief programs, servicers may be trapped by these system constraints. Relying on overwhelmed vendors, or internal IT staff, to automate required processes is time consuming and unreliable, again forcing servicing personnel to fall back on manual processes and one-off solutions. Even servicing systems that are considered best in class do not support every area within a servicing infrastructure, either due to lack of system compatibility, absence of vendor capabilities, or simply the unavailability of funding to acquire cross-functionality. These scenarios create real inefficiencies, widen the margin for error and cost, as well as expose the organization to risk that could be prevented with automated workflow. Manual workarounds, fragmented processes and antiquated systems are a fact of life for many servicers, not for the entire organization but certainly for specialized programs, such as disaster relief. Lack of time and resources often prevails, yielding a multitude of one-off solutions that could be easily avoided or eliminated with a successful workflow partner. The benefits of incorporating automated workflow are simple. Servicers can use workflow to leverage existing processes and systems, eliminating gaps, fragmentation and reliance on deficient systems. Communication and activities specific to disaster relief can be automated and managed across the organization, without taxing personnel, or impairing borrower access to relief. 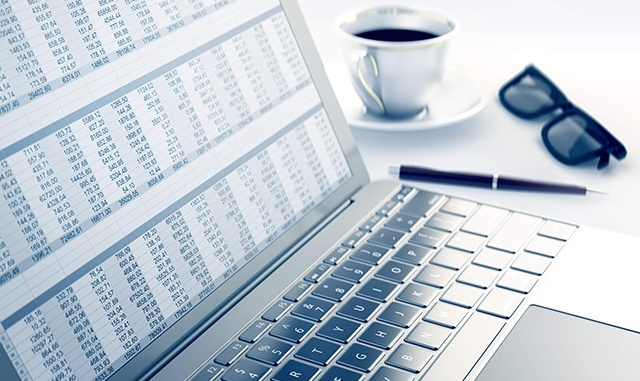 Disaster related exceptions, actions and workout rules are an inherent part of an automated workflow application with a robust workout financial rules engine. Instead of systematizing single processes, CLARIFIRE® allows you to effectively coordinate efforts across multiple departments and systems by automating the underlying requirements. The CLARIFIRE approach facilitates cost containment, change management and timely compliance with evolving requirements, so your servicing departments can be ready day one to handle borrower’s urgent requests for information, access to programs, and relief from imminent default. Stop creating one-off solutions to manage unforeseen disaster. 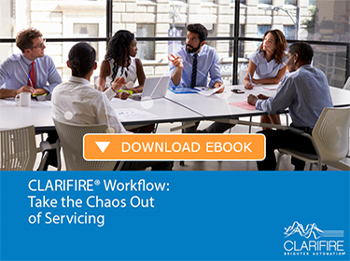 Prepare your servicing team with CLARIFIRE®. Automate disaster relief processes, from communications to loan modification with CLARIFIRE’s innovative industry workflow solution. Find out how to prepare your organization to handle ongoing disaster recovery by visiting eClarifire.com, or contact us directly at 866.222.3370.